Ideal for smaller meetings or conferences, the Durban ICC offers four Meeting Rooms which can be booked individually or as breakaway rooms for larger events. The meeting rooms are also versatile in design and can be further sub-divided into smaller venues using the operable walls. 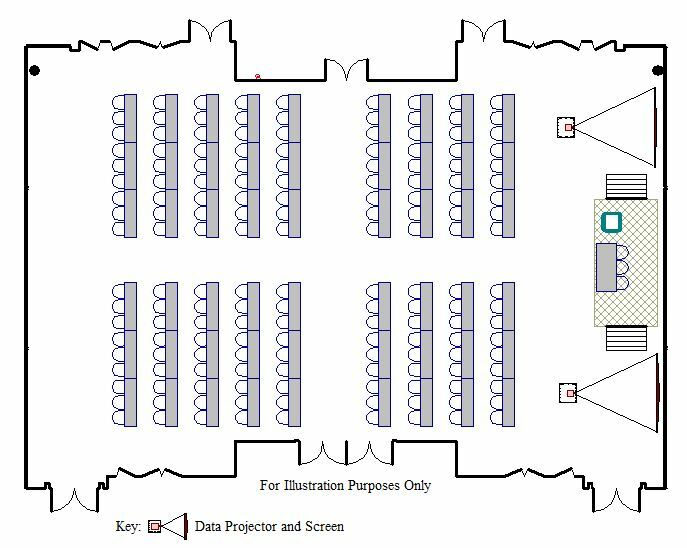 All the Meeting Rooms are equipped with automated presentation screens and top of the line drop-down data-projectors. The Meeting Rooms are air-conditioned and offer full, complimentary Wi-Fi connectivity. They also equipped with service panels in the floor every three metres, providing easy access to electricity supply points avoiding the need to run cables across the venue floor. Two Meeting Rooms are provided on the ground floor and are accessible from the main concourse. These rooms can be subdivided into five smaller rooms each or used in a number of other configurations, thanks to the operable walls in the venues. The venue sizes range from 65m² to 370m². These rooms are also extremely popular as catering venues for larger events as they can open up onto the outdoor courtyard areas offering delegates an outdoor dining experience and a taste of the balmy Durban climate. An additional two meeting rooms are available on the upper level and each can be partitioned into seven separate venues ranging in size from 45m² to 362m².